Choose three blues and three red print fabrics. 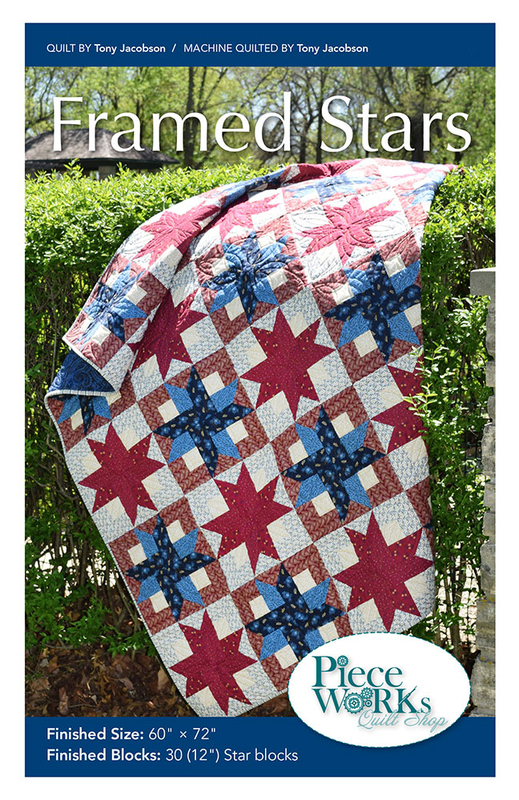 Combine them with a light gold print and you are ready to get to work on this patriotic quilt. 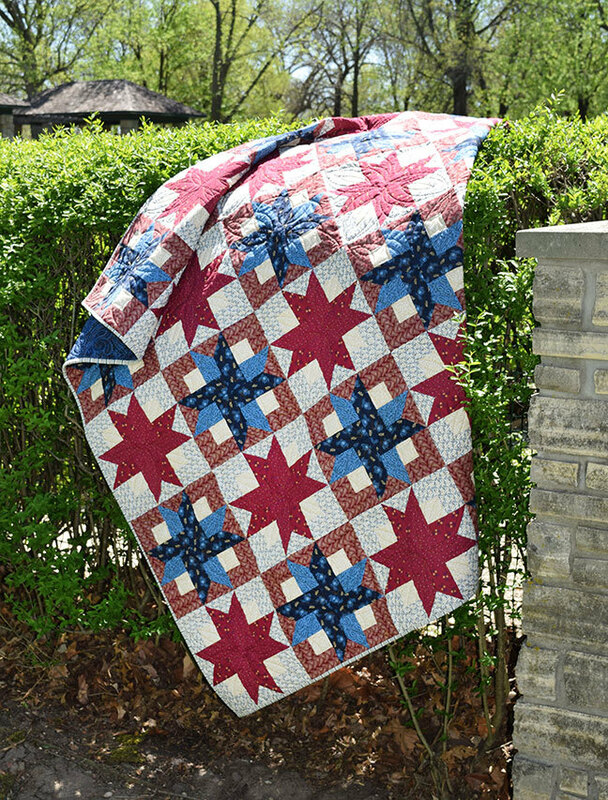 There are no triangles to cut so you don’t have to deal with bias edges as you are piecing.